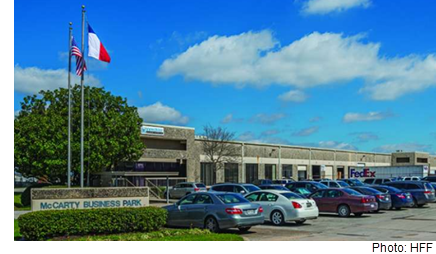 ​​​​ HOUSTON – Dallas-based ATCAP Fund I bought a four-property, 16-building Houston industrial portfolio totaling 936,608 sf from Stockbridge Capital Group. The portfolio included the Astro Business Park on Knight Rd, the McCarty Business Park, two buildings on Griggs Rd. and four buildings on Westpark Dr.
four buildings totaling 206,569 sf at 8710-8798 Westpark​ Dr. The portfolio is 95 percent leased.